George F. Reed was born in Oswego, NY. He subsequently attended Colgate College and graduated from State University of New York Upstate Medical Center in 1946. Dr. Reed was trained in Otolaryngology at the Massachusetts Eye and Ear Infirmary. Subsequent to that, he went into practice in Boston. It is widely held that Dr. Reed was the first otolaryngologist to do a neck dissection at Harvard (circa 1947). Dr. Reed became the first fulltime chairman of the Department of Otolaryngology at the SUNY Upstate Medical Center in 1965. Dr. Reed popularized the use of dermal grafts to protect the carotid artery during neck dissection in the setting of prior irradiation therapy. 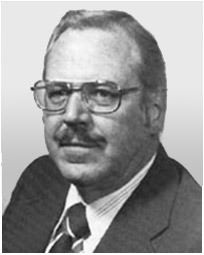 He served the SUNY School of Medicine as dean (1976-1986). He was interim President of the Medical Campus at the SUNY Upstate Medical Center (1984-1985). He was also a prominent member of the American Board of Otolaryngology-Head and Neck Surgery. Dr. Reed was renowned for his superb administrative skills and unparalleled ability to motivate and guide young surgeons.